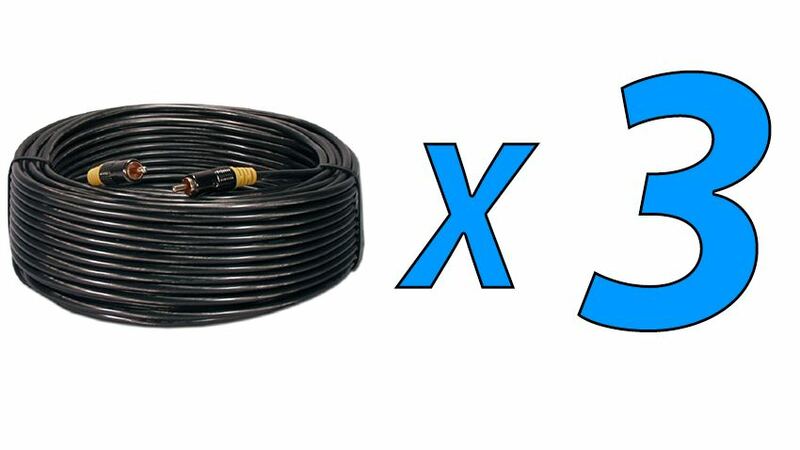 50ft RCA Premium Cable pefect for RV installation! This world HD class cable is a perfect addition to any of our items, backup cameras, Headrest, Flip Down monitors and of course our very popular In-Dash DVD players. These cables will take you one step closer to the perfect entertainment experience. If you’re connecting multiple monitors or backup cameras in your vehicle, this cable will do the trick. Its thick exterior gives it durability for all weather condition and its gold tip promises you the highest quality so you won’t lose picture quality up to even 120 feet. You can run these cables through you minivan or even throughout your 70ft RV this cables durable to do it all.